Metro Vancouver’s first MUJI store, the Japanese clothing and household goods retailer’s largest location in Canada, recently opened at Metropolis at Metrotown shopping centre. The Metrotown store is 7,770 sq. ft., making it larger than the retailer’s other locations in Toronto. But the the region’s second location set to open this year at Robson Street in downtown Vancouver is destined to be even bigger. Earlier this year, Daily Hive reported that MUJI will takeover a 10,000-sq.ft. space long-held by Gap Robson, which vacated the space in late-June to make way for the new tenant. However, as it turns out the Robson Street location will be even larger than expected with a floor area of 16,000 sq. ft. by occupying not only the Gap but also the adjacent 5,500 sq. ft. space previously home to Below The Belt, according to Retail Insider. 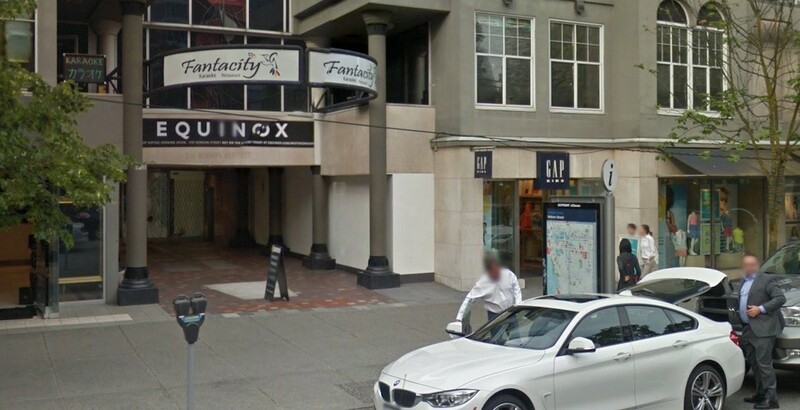 These retail spaces are located mid-block on the north side of the 1100 block of Robson. In fact, the Robson store will not only be the company’s new largest store in Canada but one of its largest internationally outside of Japan. Comparatively, MUJI’s largest store in the United States is its 12,000-sq.ft. location on 5th Avenue in New York City. During last month’s MUJI Metrotown grand opening, a spokesperson for the company told Daily Hive that the Robson Street location is still geared for an opening by the end of this year, but the precise opening date is still dependent on the progress of construction. In an interview, MUJI Canada President Toru Akita said his company’s research has found that around 70% of its Metro Vancouver customers are already familiar with its products. He is confident with MUJI’s ability to perform well in the Metro Vancouver market, given that sales at the month-long 150 sq. ft. pop-up store at the Fairmont Pacific Rim Hotel in downtown Vancouver early this year exceeded some of the company’s permanent, full-size stores. Another renowned Japanese brand, UNIQLO, will also be making its first steps into the region by opening a store at Metropolis at Metrotown next month. This UNIQLO location will be a two-level, 20,800-sq.ft. store, taking up several units including the now-closed Home Outfitters.